Start off your visit on the 28th (Thu): get engrossed in the history at Arktikum, see the interesting displays at Christmas House Santa, then see Santa Claus Office, and finally get in on the family fun at Santa Claus Village. On the 29th (Fri), you'll have a packed day of sightseeing: stop by Your Piece Of Finland, see exotic creatures in open habitats at a safari tour, and then take in the architecture and atmosphere at Rovaniemi Church. 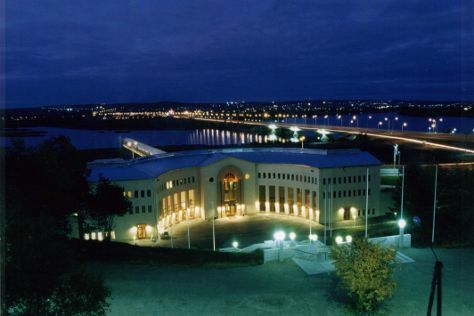 For more things to do, photos, where to stay, and other tourist information, refer to the Rovaniemi online trip maker . London, UK to Rovaniemi is an approximately 6.5-hour flight. You can also drive; or do a combination of car and ferry. The time zone difference when traveling from London to Rovaniemi is 2 hours. Plan for colder temperatures traveling from London in November, with highs in Rovaniemi at 28°F and lows at 20°F. Finish your sightseeing early on the 29th (Fri) so you can travel back home.